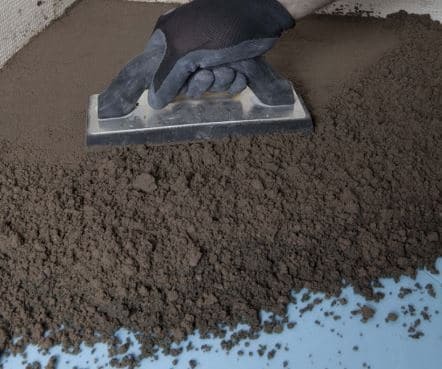 Dry pack mortar, which is also called deck mud or floor mud, is a mixture of sand, cement, and water. It is used to repair small spots, creating thick bed mortar for tile and brick placement, and bed shower installation. The proportion of the mixture is one part of cement to four part of sand, and adequate water to produce mortar that stick together when it is molded into a ball with hands as illustrated in Fig.1. Added to that, the ball shall not crumble as a result of low water and should not slump to due high-water proportion. This mixture is claimed to yield a compressive strength of 21MPa. It is reported that one part of cement to four part of sand, preferably sharp clean sand, is adequate. However, mix proportions like one to two and half, and one to five or even six are reported. With regard to quantity of water, it depends on the moisture content of used sand. if moisture of sand is low, greater quantity of water would be needed compare with case where moisture content is high. Used to prepare ordinary thick mortar beds, as shown in Fig.4. Used for floating shower bases, as illustrated in Fig.5. Dry pack mortar is used to fill deep holes in a concrete wall. 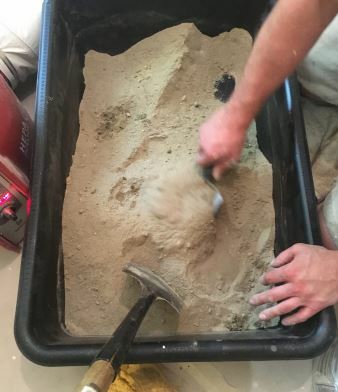 As the dry pack mortar components are mixed, it should be placed in layers of 10mm and then compacted with hammer, stick, or hardwood dowel. It is recommended to employ metal stick to compact dry pack mortar rather than wooden stick. This is because metal stick yields better compaction and ensure greater bond. Additionally, it is advised to apply direct tamping at an angle to the sides of the hole to ensure good compaction at the sides of the hole. 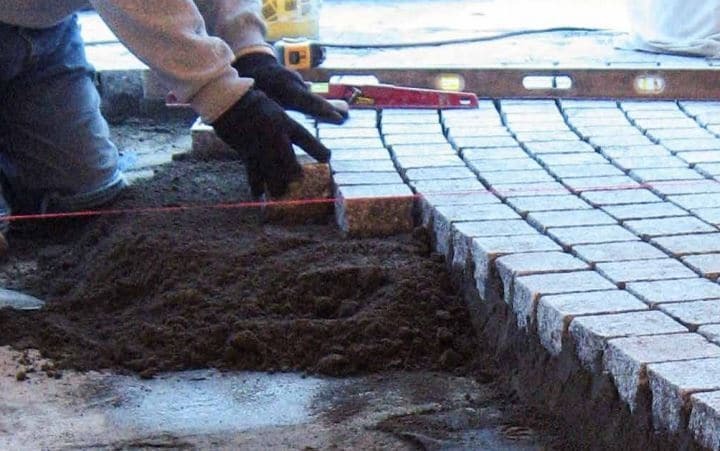 Dry pack Mortar is also called Deck Mud or Floor Mud? 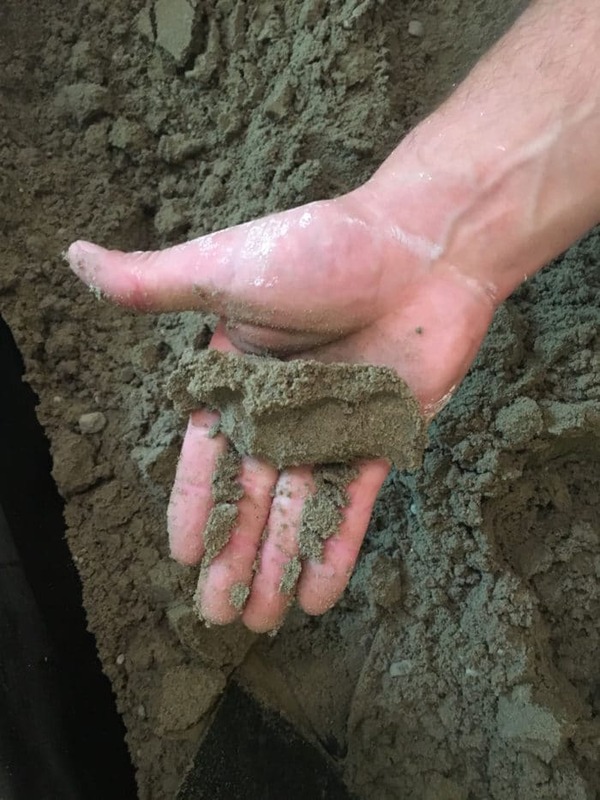 What are the components of Dry Pack Mortar? Water quantity added to dry pack mortar is based on sand moisture content? adequate water is added when mortar stick together as it is molded into a ball with hands?